Avoid shopping malls and busy department stores at all costs! Shop at local businesses as much as possible. Buy online to save time and money. No. 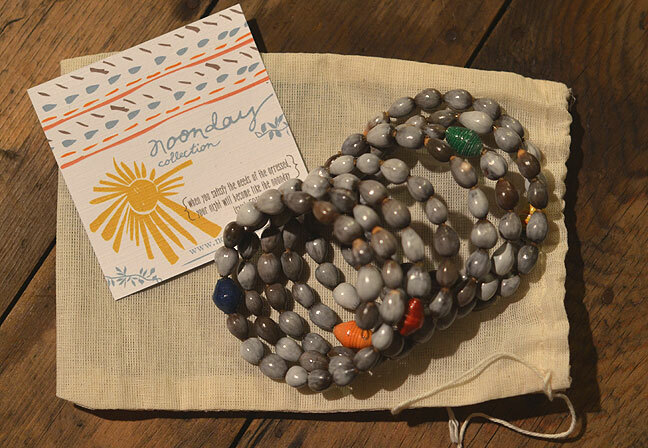 1 — Embira Seed Bracelet from Noonday Collection, $26. Noonday offers a very special collection of jewelry and gift items. The company has an amazing ministry and heart-swelling story. You can read about it, here. The embira bracelet is created of natural seeds and artfully placed paper beads. It is handmade by artisans in Uganda and 10% of the sale goes to families seeking to adopt. It’s not just a unique and gorgeous gift for your friend or family member, it’s a purchase that will help families here and around the world. I love meaningful gifts! No. 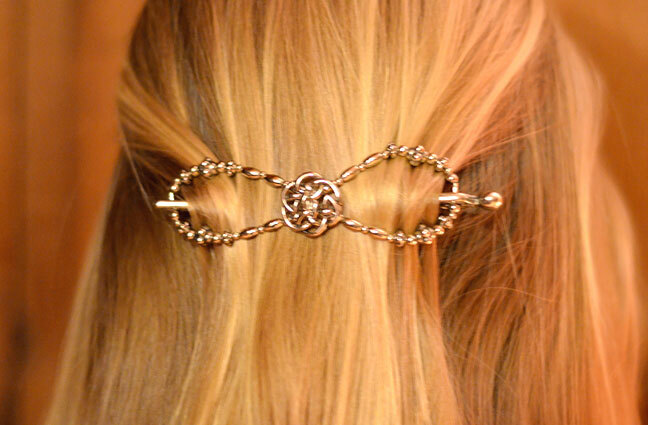 2 — Celtic Knot Flexi-clip from Lilla Rose, $16 on sale for $12.80! Do you know someone who puts their hair in a bun, pulls it back or pins it up? These unique flexi-clips make it a cinch to tame your tresses. They come in several sizes and a vast array of designs. Any girl — of any age — would be pleased to receive such a pretty and useful gift. They’re also just the right size for stuffing in a stocking or two! the freakish Black Friday madness or not. One comment will be randomly selected on Monday, Nov. 26. The winner will receive a clip of their choice up to a $16 value. 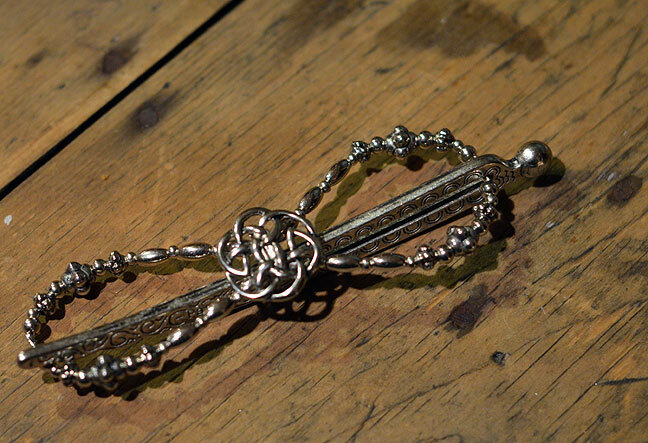 Pull back a little or pin up a lot of hair … these cool clips do the trick. You can browse their other designs here. And stay tuned, because I’ll have even more Christmas gift ideas in the coming days. I can barely see the keys to type this…my best friend & I went out to New Phila (we would never go to Canton, no way!) last night at midnight and got home around 4 🙂 We never go for anything other than pure entertainment! Sometimes we make a purchase, sometimes we don’t. It’s just been a tradition that we have too much fun with to let it go! Although, I will say, last night around 2, we were so tired we snuck into the dressing rooms at Maurice’s…not to try on clothes, but just to lay down the the dressing room couch for a while!! I did not join in the Black Friday madness due to the fact that I am done Christmas shopping and waiting on the arrival of my baby who was due on Wednesday. This year I have tried to by from small businesses and local businesses. I did go Black Friday shopping for the first time last year and I will never again participate in such a ridiculous event just to save a few pennies. Black Friday at my home was not filled with shopping chaos but 8 kid chaos! Wonderful way to spend the day! Black Friday has gotten way out of hand! I sat with my laptop in the recliner last evening and made a few Black Friday purchases. I did stop by Carrollton Ace Hardware this morning for a few of the specials on my way to work. I am so happy that my Christmas shopping is nearly done! I do agree that meaningful gifts are what is needed, not just a gift for the sake of giving a gift! Black Friday was spent battling a very long line at my friend Kay Hinton’s Primitive Christmas Open House! I knew I should have camped out and beat the line! I was actually shocked, but then again, those of us who adore primitives come out in droves when the opportunity arises! I did score a couple cute snowmen! Check out Hinton Primitives on facebook! Already have them displayed! So no malls, Walmart or any place like that for me… local and American made all the way! No way am I gonna go fight my way through a store if I don’t have to. Heck, grocery shopping on a regular day is enough hussle and bussle for me. Hope everyone reading this has a safe and blessed holiday season! I did not participate in black friday shopping. I saw an advertisement to shop small/local businessess Saturday November 24th and I have decided to participate in that instead. I find it much more enjoyable to stay in Carroll County instead of fighting the crowds and traffic in Canton. I went late in the day for the one item I wanted. Managed to get the last one they had in the store! No black friday shopping for me! I did not even go out the day after! Too hectic. Does Thanksgiving day shopping for sheep feed count? If so we were all over that at 6:30 a.m.!! !